Localization is now recognized as a critical factor in the success of Global products. Depending on Culture the usability parameters change. Correct localization of digital products goes way beyond language and touches on visual and semiotic communication. 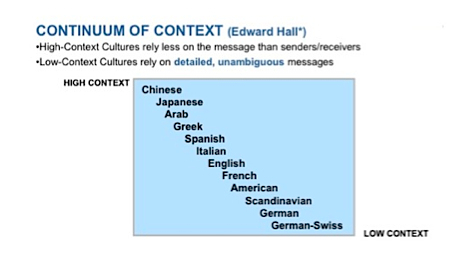 The work of Edward Hall on HIGH and Low Context is a useful tool in understanding how to modify the modality of localization. HDS automotive researches and develops localized interfaces. Localization is more than just a simple language check, it’s a complete analysis of how the interface conforms to different cultural parameters and perceptions. This also means adapting the interface to the age and physical ability of the user. These vary enormously from one culture to another, especially if the culture uses an Asian pictogram form of communication as opposed to a western text based one.